Criminal Defense Attorney Thomas Kokonowski Should You Hire a Lawyer Before You're Arrested? | Law Offices of Thomas Kokonowski, Esq. Should You Hire a Lawyer Before You're Arrested? | Law Offices of Thomas Kokonowski, Esq. Should You Hire a Lawyer Before You’re Arrested? Posted on : October 30, 2017, By: Tom Kokonowski, Esq. While some arrests are made on-the-spot, others are made after a longer, more intense investigation. If you’re the subject of a police investigation — for example, for drug crimes — you may be asking questions about when it’s time to obtain legal representation. Should you wait until you’re arrested or should you confer with a lawyer right away? Here’s what you need to know. Many people believe that a police investigation is comprehensive and evaluates all evidence available in the case. However, this usually is not true. In fact, law enforcement officers will generally investigate an alleged crime until they have enough evidence to charge a suspect. Then, the remaining evidence in the case never gets brought to light. Or worse, it could be damaged or covered up, particularly in cases where there is substantial evidence pointing to the suspect’s innocence. 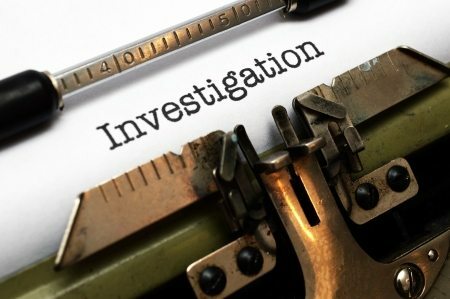 If you’re the subject of a criminal investigation, you should have your own team to help secure evidence in your favor. Also, your team will ensure that no laws are broken in the collection of evidence. Sometimes, even with an attorney investigating your case before the arrest is made, the arrest becomes imminent. In cases like these, it’s still in your best interest to have an attorney on your side. Your lawyer can help you make bail arrangements and begin interviews to help provide the judge with enough information to release you. Also, your attorney may be able to help negotiate a date of surrender, where you will go to the jail at an agreed upon time instead of risking being arrested at an unknown time at your place of employment or your home. One critical part of a police investigation is the interrogation of a suspect before making an arrest. Unfortunately, suspects often unwittingly provide the police with enough information to make the arrest with their statements, not knowing that what they say can be used against them. An attorney can help protect you from harmful lines of questioning or help you avoid interrogation at all.